FocalFilter is a free productivity tool that helps you focus by temporarily blocking distracting websites. 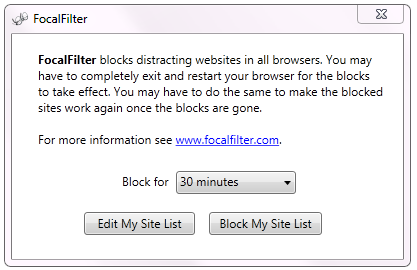 After the block timer runs out, your websites are available for you to view again. 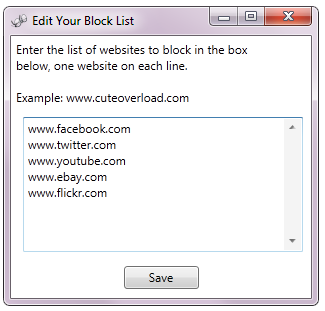 You choose which websites to block. Set how long they should blocked for.